Mazzone Hardware is a family owned and operated hardware store located in the heart of Carroll Gardens, Brooklyn. Founded in 1950 by Salvatore Mazzone, Mazzone Hardware has been serving Brooklyn for over 60 years! 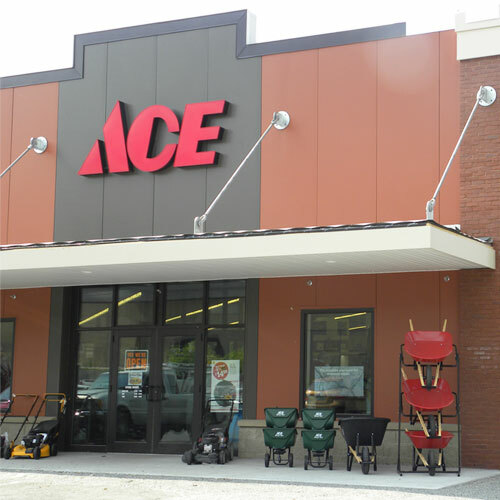 Our Court St. location, not only has a full selection of hardware items, but we have a full garden center and Benjamin Moore Paint department as well. In July of 2011, The Mazzone Family opened their second location, Mazzone Paint Center, at 211 Smith St. Our Paint Center offers a relaxed atmosphere where customers can spend time working without color consultants to choose the perfect color for their project. Established in 1983, Children's Miracle Network (CMN) generates funds and awareness for more than 17 million sick and injured children, who are cared for each year by its 170 affiliated hospitals, regardless of their family's ability to pay. Mazzone Hardware is always looking for ambitious and hard working associates. Please feel free to stop by and fill out an application at our Court Street location during normal business hours. You may also email your resume and cover letter to info@mazzonehardware.com.